Registration for Summer Activities begins Saturday, May 13 at 10 am. Add classes now to your online WishList and register for them all with one click. View the Summer Catalog and register online at www.sfreconline.org or stop by the Rec Center office to do so in person. Upper Noe is hosting one-week-long basketball day camps (Mon – Fri, 9 am -1 pm) from June 5 to August 4. These sessions filled quickly but check for cancellations or added capacity. For safety, there can be no congregating or loitering in the lobby during day camp hours. No exceptions. From June 5 through August 5, Rec Center hours of operation will include Mondays from 9 am – 5 pm. 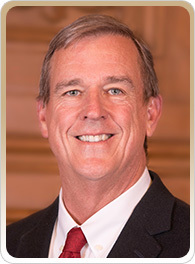 Upper Noe Neighbors (UNN) hosts an evening with our new District 8 Supervisor Jeff Sheehy on May 17, 7-9 pm in the Upper Noe Recreation Center auditorium. The goal is for all of us to get to know each other better. Please take this opportunity to meet our supervisor and express your concerns, opinions and suggestions. Your input matters. This meeting will follow a town hall format. Send your questions for Jeff to Olga Milan-Howells at president@uppernoeneighbors.com . Everyone is welcome. Refreshments will be served. Volunteers, get your gloves and your gardening game on this Saturday, May 13 from 9 am to noon. Joan invites amateur gardeners of all ages to come and help beautify our park. Check in at the office. We hope to see you then.